This recipe is courtesy of a random clipping of a recipe I had in my old recipe box from my pre-food bloggy (AKA food obsession) phase. I have almost thrown this recipe out a million times but something always stopped me. THANK GOD! I love love love love this. It's a new favorite. I'm 99% sure you'll love it too. 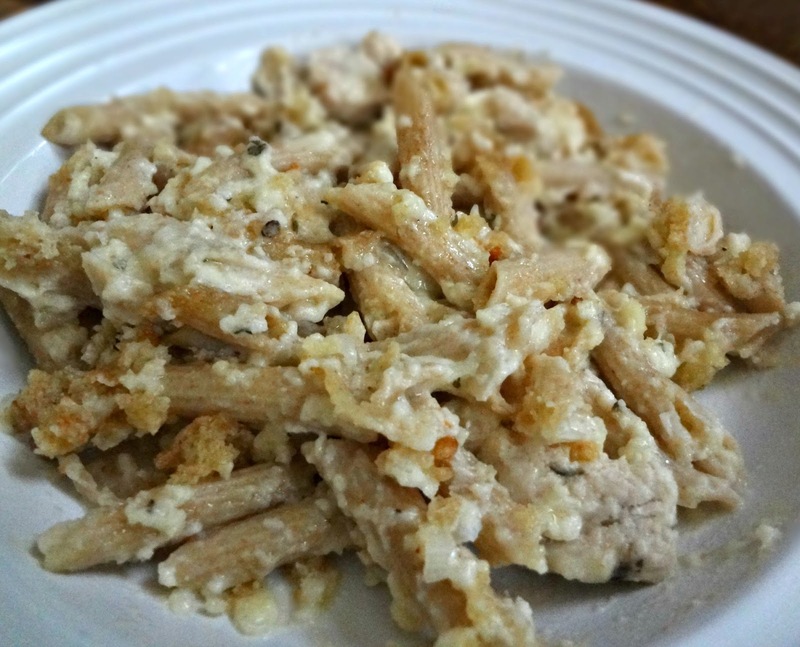 The onions and garlic add a really delicious flavor to the rich and creamy cheese sauce, I adore penne and the addition of chicken makes this a nice easy casserole kind of meal! And don't get me started on the buttery, delicious, soft crumb topping! It's a perfect combination of flavors. Michael loved it. I love it. You'll love it. Your family...will....wait for it.. 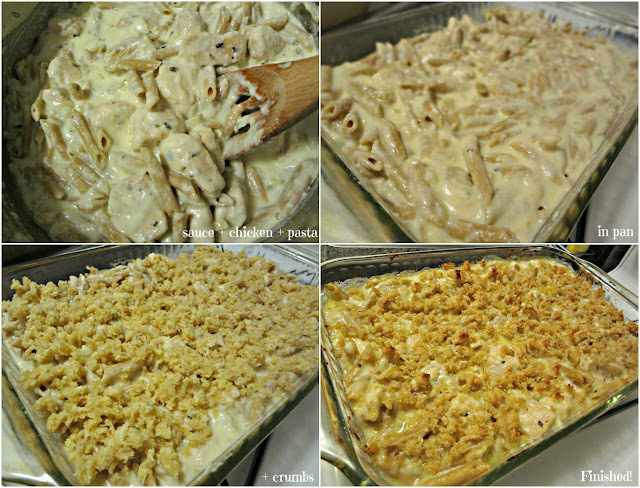 Adapted from Better Homes and Gardens' "Chicken Mac and Cheese"
To make soft crumbs: Take 1.5 oz. bread (preferably baguette, etc.) and blend in a food processor/blender to make soft crumbs. Cut chicken into little, bite sized pieces (I cut mine a little too big, next time I'll make them smaller). In a large skillet heat the oil on medium heat and add chicken, and seasonings/salt and pepper. Cook the chicken all the way through, until no longer pink. Remove the chicken from the skillet and set aside. In a large pot cook pasta according to package directions. Drain and return to pot. Meanwhile, in the skillet you cooked the chicken, cook 3 tbsp. butter, onion, and garlic over medium heat until tender. Stir in flour. Add milk. Cook and stir until thickened and bubbly, then reduce heat. 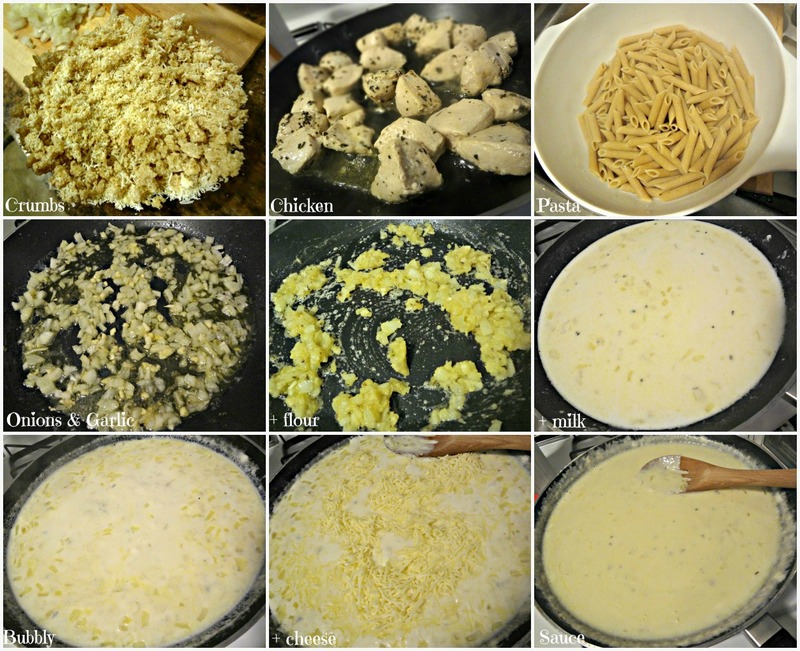 Add cheese and stir until melted. Remove the sauce from heat and season additionally if desired. 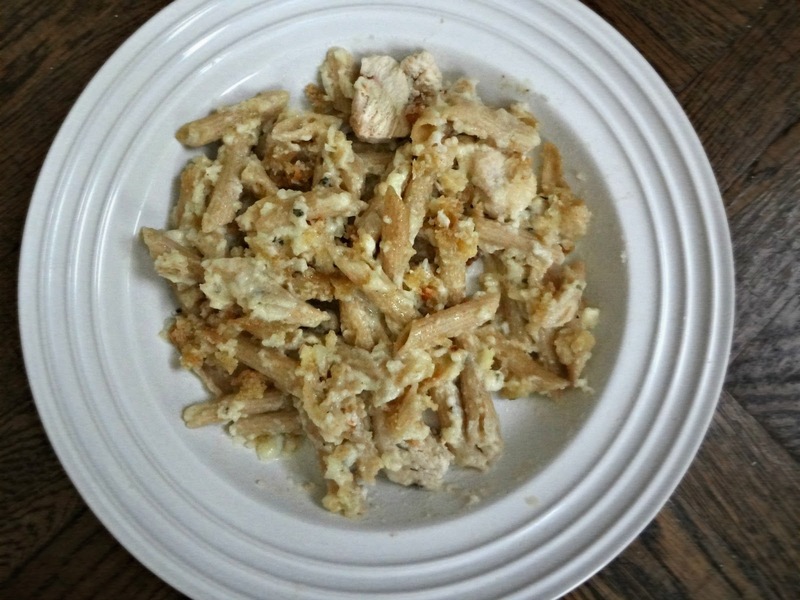 Add sauce and chicken to the cooked pasta in the pot and stir to coat. Spoon into a greased 2 qt. (9 x 13) dish. In a small bowl combine soft breadcrumbs, Parm/Romano cheese, and 3 tbsp. melted butter. Sprinkle evenly over the pasta dish. Bake, uncovered, 20-25 minutes, until the crumbs are golden and the edges are bubbly.